Manning Marable: All right. Talk about that. What does that mean to be military? Khalil Islam: Paramilitary procedures, that’s what we were using at that time, which was a very poor structure. Paramilitary procedure gives the D.A. the opportunity to pinpoint anything he wants to pinpoint, because at that time no soldier would make a move without an instruction from a lieutenant. Let me give you an example. MM: Give us an example. KI: A brother got killed in the Bronx, okay? He was worthy of death. I mean, there was no question about that, but he got killed. The D.A. knows we use chain of command, and that works against you, because they know, like I said, nobody would make a move–if I was a lieutenant in the Bronx, and somebody got killed, it was automatic the D.A. thought I pushed the button. It wouldn’t happen. It never would happen. I don’t know if that’s easy for you to understand or not. KI: Nobody would even think about making a move if there wasn’t a direct order from a lieutenant which comes down from the top. So that was a very bad procedure, very bad. It worked against us, see, because they know. So there’s a lot of things that was going at that time that wasn’t too healthy for us, but that’s what we was using, paramilitary procedure. 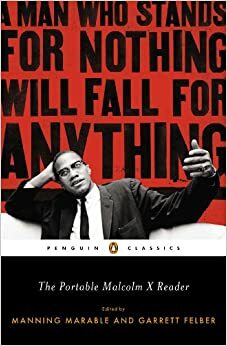 This entry was posted in Theory and tagged interview, khalil islam, malcolm x. Bookmark the permalink.